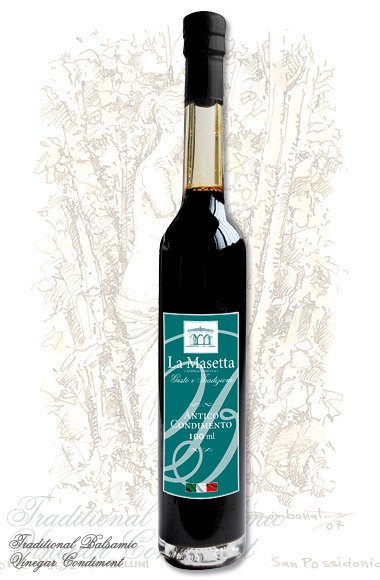 Colour, fragrance and density of Traditional Modena Balsamic Vinegar create an unmistakeable combination of sensations. 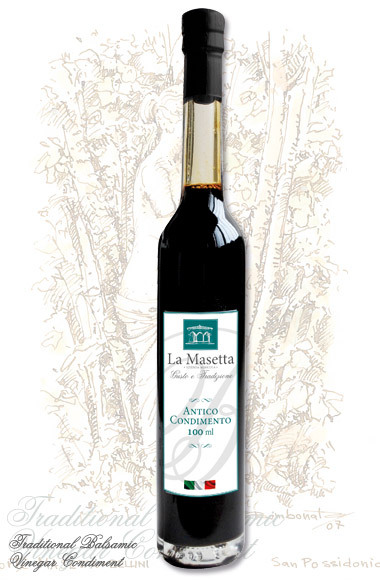 Its complex and harmonious flavour is the product of years of aging in barrels and epitomises La Masetta’s passion for tradition, essential for obtaining such a valuable product. It enriches the most classic of traditional Italian dishes. 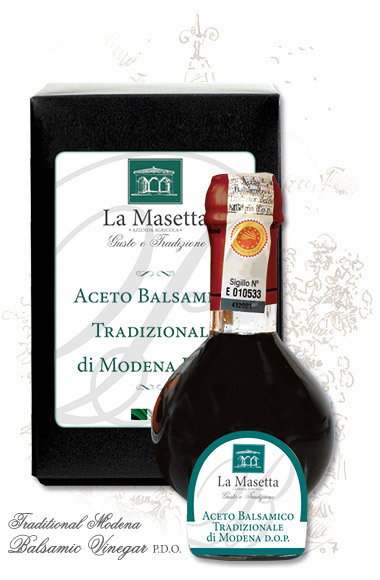 Modena Balsamic Vinegar P.G.I. is a product with an exceptional flavour and aroma. 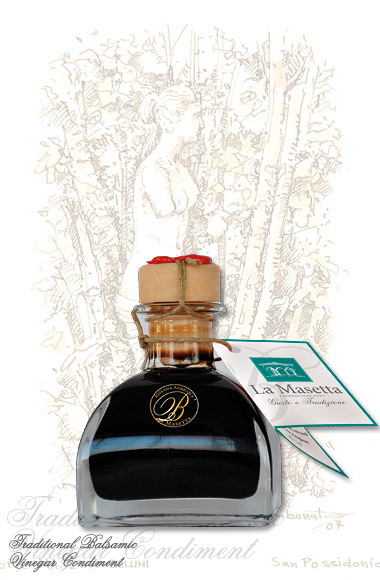 Aged in barrels of different woods to obtain a full-flavoured balance. 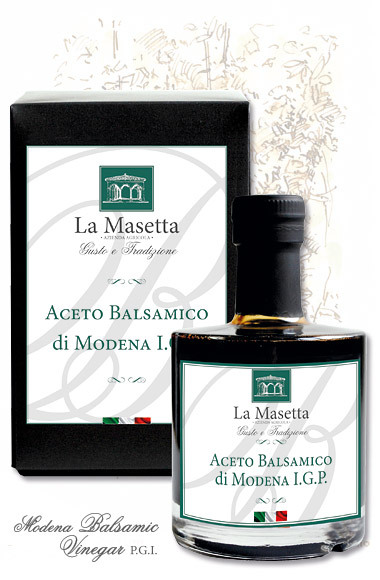 Ideal on pasta and rice dishes, perfect on fruit and ice cream. 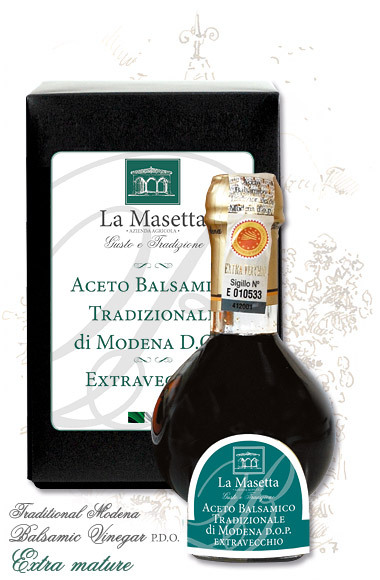 With its rich and persistent flavour, this Condiment is a blend of tradition and taste. 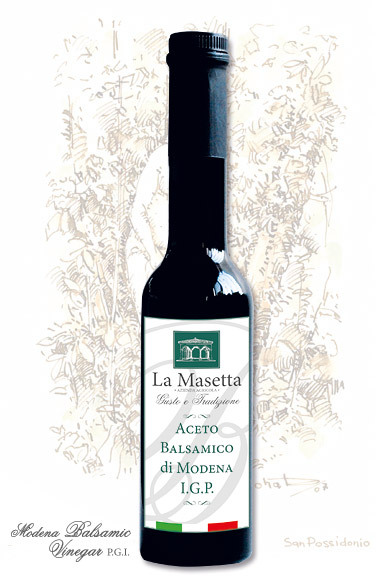 Perfect with flavoursome dishes, excellent on cheese and fruit.